Mercury Filmworks is looking for an experienced Art Director to join our team in Ottawa. This position is an excellent opportunity to live in Canada’s beautiful capital city while working alongside our creative team to inspire and lead the visual direction of a 2D production. We genuinely believe in attracting the best and brightest for our team, creating the most engaging and impressive animated productions. We’re looking for someone with a proven track record of creative leadership, interpersonal skills, and animation production experience who shares those ideals and wants to help lead our company into the future. Job Description: The successful candidate will have an exceptional track record with at least 5 years of hands on experience as an art director or with related work experience. This is a key leadership role that partners with the Producer, Line Producer, Production and Director to execute the creative vision of the show while working within the schedule and budget for the series. Responsibilities run from generating artwork in areas which may include character, environment and props, to establishing mood, lighting, and helping communicate story concepts. This position is a 60 week contract from October 2018 – December 2019 with the chance of becoming permanent. The salary is negotiable. All offers of employment to individuals living outside the Ottawa area will include a moving allowance. This position includes paid benefits and access to the Mercury Filmworks group RRSP and matching contribution plan. Minimum 5 years of related work experience is required. Strong skills in character design, location design, composition and colour. Must be able to lead, mentor and motivate a team of artists to ensure quality in a timely manner. Must be highly creative and story driven with the ability to work within tight deadlines. Ability to align with style and sensibility of show. Positive attitude with the ability to be flexible. Excellent organizational, verbal, written, e-social skills and acumen. A broad knowledge of artistic styles and latest technology is an asset. Knowledge of drawing software that includes Photoshop, Illustrator, Harmony and 3D technology, where applicable. Set the visual style of the series, creating conceptual and production artwork. Small Print: Mercury Filmworks places as great an emphasis on recruiting for character and fit as it does on core skills and experience. Qualified candidates that meet ALL the characteristics above are encouraged to apply regardless of where they live. All candidates must be willing to test in advance of an interview. Mercury Filmworks is an equal opportunity employer, and by equal, we really mean equal. We have no preferences or bias beyond the professional qualifications. 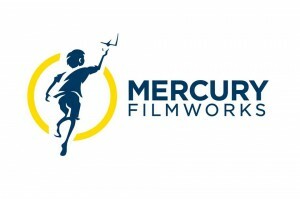 Mercury Filmworks® is one of Canada’s most prolific independent studios and internationally recognized as a leader in the animation industry for its benchmarks in quality, reliability, and innovation. Over its 20-year history Mercury has helped bring to life many of the most memorable modern animated television and film properties including the multi-award winning series Tangled, Hilda (Official Selection of the Annecy International Animated Film Festival), If You Give a Mouse a Cookie, Mickey Mouse Heritage Shorts, Lion Guard, Wander Over Yonder, Toot & Puddle, Atomic Puppet along with the feature films Curious George, The PowerPuff Girls Movie, and Looney Tunes: Back In Action. Mercury is proud to be associated with partners such as Disney, Amazon, NETFLIX, Nickelodeon, Cartoon Network, Marvel as well as a multitude of other networks both home and abroad. This entry was posted on Friday, July 27th, 2018 at 10:46 am	and is filed under Jobs. You can follow any responses to this entry through the RSS 2.0 feed.